We have streamlined our own steps which are required for initial planning and execution . Whether the location of your plant is surrounded by elements who can damage your property. Type and nature of your raw material and the finished goods, is it inflammable, explosive or gaseous, which means you need to take some extra safety precautions. What precautions do you need to take at the time of installation of the heavy machinery, electric installations, underground wiring, work in the tunnels and at other dangerous sites. Do you need to have any protective clothing, gas masks and if there is any cylinders or fire fighting equipments required during execution of work. You must ensure all precautionary steps while working at dangerous sites and cases of accident are properly compensated. The above steps which are thought of and planned at a very high level and discussed with the concerned people at the appropriate levels and must be carefully executed at all levels. The workers and staff members must be educated properly before any work is started and no confusion shall remain in the minds of the people, whatsoever. Safety and security must be made on top priority and at the appropriate stage. When the work is going on, proper supervision must be kept by the Senior people and there must be no lapse and there must not be any relaxation in rules made on security. These rules must remain displayed at the work site in the language which the workers understand. What should be the criteria to decide the quantum of security required for the establishment? The following factors should be taken into consideration while deciding the security set up of an organization. (a) Threat perception – Threats may be internal or external. In case it is internal, what steps need to be taken, are to be decided and acted upon before any tragedy takes place. (ii) Waste material to be checked for which proper security instructions are required to be worked out. (iii)Proper checking should be made to ensure that the employees work properly and do not indulge in any unfair activities. Employees should follow proper guidelines and procedures. Mainly this task is done by the supervisors and officers working in the plant. However, officers and supervisory staff also need some help from the security staff. Once you analyses all the above mentioned factors, you come to the conclusion as to how much security set up is required in your organization. Is it true that the expenses on security are saved by not applying adequate resources? No. Definitely not. It is like a wildfire. If you do not check it at the appropriate time, it will spread and cause major damages. Similarly, loose security or having no security or having inadequate security is a great danger to the organization as it will create indiscipline, wrong practices to lure people to lethargy. It also creates loss in the production by misuse of time and resources of the employees. For example, theft of a ball bearing which is important to run the machine may cause the breakdown of the machinery and thereby causing loss of lakhs of rupees. On the contrary, if the worker is aware of the fact that a small ball bearing which may bring him a gain of Rs. 50/- or Rs. 200/- by stealing, would result in a loss of lakhs of rupees to the company and will endanger the lives of so many people, then the worker will not indulge in such bad practices and will do his duty properly and to the best interest of the company and ultimately the company will gain with the result of good security set up and proper training. Why it is so important to hire a good reputed security contractor? It is very essential that the security personnel working with you, have the following qualities. The manpower possessing the above requisite get attracted to the. 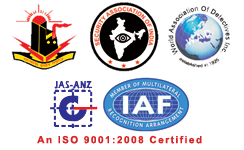 reputed and well established security agencies. Unlike small and medium agencies in the security field, old and well established agencies do the recruitment and selection on the basis of Army and Police selection procedures. The reputed agencies have on their roll, Ex-Defence and Police Officers who do not compromise on the standards as laid down. (g) Specialized tasks such as bodyguard, gunman, revolverman, cash van and personnel engaged in the industrial dispute.